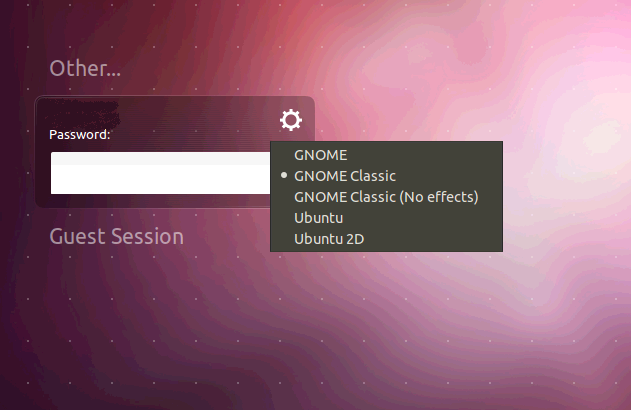 HOWTO: install Gnome Classic on Ubuntu 11.10 Linux. It's easy! So you don't like Ubuntu's Unity interface. Can't say I'm a fan either. Otherwise, Ubuntu is very user-friendly, solid and stable. I don't know, I guess some people just don't like menus flying out from the edge of the screen when your mouse gets too close. When prompted, provide your password, and answer Y to the prompt to install the components. After the install is finished, logout. At the login screen, click the gear symbol and select Gnome Classic as shown below.